It feels almost miraculous that a Porsche can offer CO2 emission figures of just 71g/km and a fuel economy of up to 91.1mpg. And it seems similarly remarkable that a Porsche could earn its place on a surprisingly high number of company car shortlists. 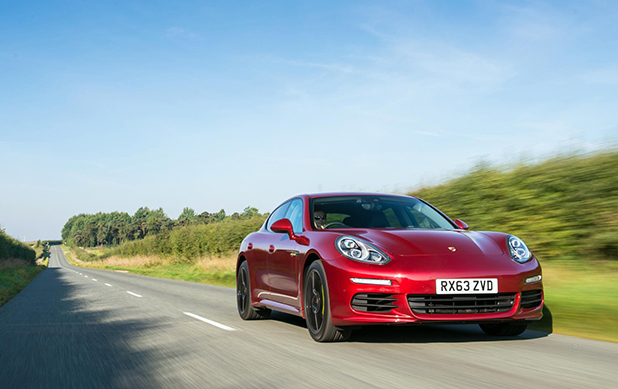 However, the Panamera S E-Hybrid, on paper at least, delivers an intriguing proposition for many in the business sector – despite its hefty £88,967 list price. This is largely because the vehicle offers a £148-a-month company car tax bill for the 40%-rate taxpayer, with the car also benefitting from London Congestion Charge exemption. Most pleasingly, the E-Hybrid, with its 94bhp motor and new 9.4kWh lithium-ion battery pack, is no slouch when enjoying the default super-green E-Power mode. 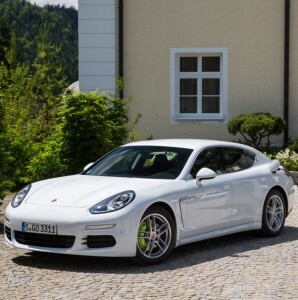 With a top speed of 84mph, the Porsche can travel between 11 and 22miles on electric charge, while the car is superbly kitted out to make the most of its electric functionality. Helpfully, it defaults to hybrid when the battery is around one mile away from running out, with electric mode then replenished by the petrol engine using the car’s E-Charge function. Also impressive is the way in which you can only enter petrol mode by breaking through a very clear resistance in the accelerator. The eerily quiet electric mode travels wonderfully, and is great for a short cruise around town – if this is how you drive, then you may hardly ever need to spend on fuel again. However, for longer or more powerful journeys, things are a different matter altogether; and it is when petrol kicks in that you really get a sense of being at the wheel of a Porsche. Capable of hitting 0-62mph in just 5.5seconds, the E-Hybrid has a top speed of 168mph when the 410bhp supercharged V6 petrol engine has its way. The satisfying petrol growl which signals the power switch is dampened only by the slight lag in response caused by the eight-speed automatic gearbox. Overall, the 2,095kg vehicle handles well, though it just falls short of the impeccably-high standards of similarly-priced Porsches. Indeed, the steering is not quite as responsive as would be expected from such an expensive car and the ride comfort is a touch firm. It is, without question, a magnificently beautiful car – inside and out. Wonderfully styled interiorly, standard specification includes Bluetooth, DAB, leather interior, climate control, satellite navigation and a multi-function steering wheel. The centre console is magnificent in its visual complexity, while the colour touchscreen is incredibly elegant. Everything, despite looking complicated, is fairly simple and user-friendly, with the driver easily being able to locate and display any information they wish to. While the rear only seats two, there is a great deal of room and the seats are incredibly comfortable. The boot falls into the same ballpark, with enough space to be considered practical by most. But, despite the positivity, is the vehicle really a true contender for the fleet market that Porsche are yearning to break? On paper, economy is impressive, but the car does chomp fuel insatiably once in petrol mode; indeed, if you stay above 30mpg on a longer drive, you’ve done fairly well. Otherwise, financially, there is much to admire about the Panamera S E-Hybrid – even if the list price is enough to deter some. With its impressive tax credentials and exemption from the London Congestion Charge, it is clearly affordable to run as a company car for the higher-end buyer. It is also a fine car, despite not quite hitting the performance and driving pleasure heights the price tag and Porsche reputation would suggest. But, if you can afford such luxury and are willing to sacrifice on top-level Porsche performance for potential savings, it is certainly worth a place on your shortlist.